Our software provides high accuracy for rankings. Unlike competing softwares, who check within 100 results pages, we check our results within the 10 results pages, same as real users do. SheerSEO has around 10 years of successful experience in this field. Google provides different results per each country and language. For some countries, rankings vary even between cities and neighborhoods. Our software supports all major countries, providing accurate results per each country and language. 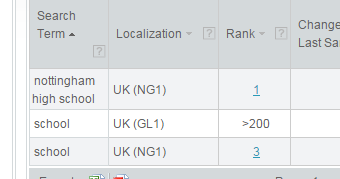 In the US and UK, we can even localize the results per zip code. We even support local map results for local businesses. We keep your historical data and allow you to see your progress with visual graphs. Present rankings can be compared to past rankings, to easily check progress. SheerSEO can incorporate data from many sources like Google Search Console, Google Analytics and Google Keyword Planner. 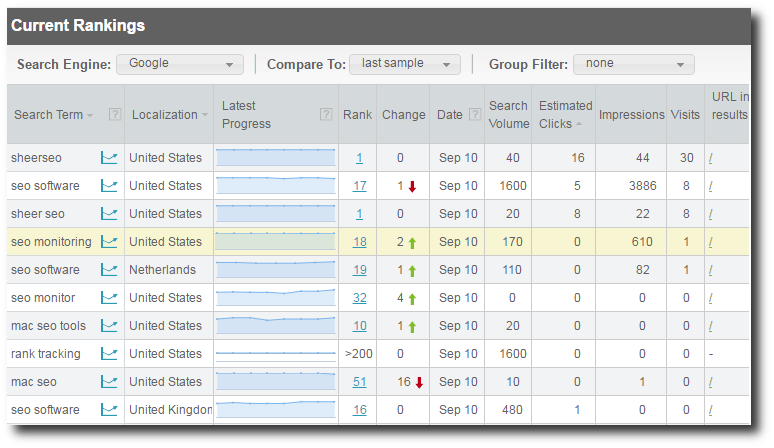 The result is profound data about each keyword, including search volume, visits & impressions. 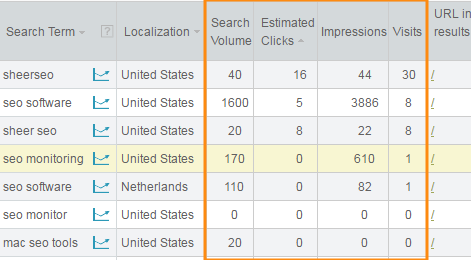 This data allows you to figure out the potential for each keyword, and the actual benefit from it. Tracking competitors is always cool. There is nothing like competition to get your motivation up. SheerSEO can track up to 10 competitors for all your keyowrds. Reporting can't be easier with our PDF and CSV reports. Reports can be created manually, or mailed automatically. White labeled reports are available for SEO agencies.